Apple has started to spread word of its own retail vacation blackout days. Meanwhile, the company's filming in Manhattan on Thursday was likely tied to one in Los Angeles a week earlier; the GPS chip inside the 3G iPhone has been paired with a supplier; and four teens have been permanently banned from Apple's international retail chain for extending the capabilities of an iPhone. AT&T is blacking out vacation days for its retail staffers from June 15th to July 12, presumably in preparation of the 3G iPhone launch in late June. Apple, however, isn't asking the same of its store employees until mid-July, people familiar with the plans say. Apparently, the Mac maker is expecting a flood of back-to-school shoppers starting the third week of July and running through the second week of August. As such, retail staffers in some regions are being told that back-to-back vacation days during that period are a no-no, as are multiple weekend absences. The company's annual Back-to-School promotion will actually kick-off much earlier, and it's reported that this year's incentives will be even more compelling than last. Apple will be briefing its partners in higher-ed on the matter at 11:30 a.m. Pacific on Monday, meaning a formal announcement is likely that day or the next. In its report last week, Giz noted that it had it "on good authority that an iPhone ad is being shot today by a big name director." AppleInsider later noted that director was said to be David Fincher, an avid Final Cut Pro user and director of big-time flicks such as "Se7en," "Fight Club," and "Panic Room." People familiar with the shoot in Los Angeles say Apple and its production crew built a replica Apple retail store interior on stage for the filming. It was said to be a typical production for the most part, until the "product" was brought on stage. At this point, all non-essentials were forced to vacate, leaving just the director, producer, props and camera assist crews. One person on hand did not get the clearest of looks at the iPhone, but said "it looked pretty much like the current one." Even so, "everyone knew they were working on the 3G iPhone commercial," that person added. 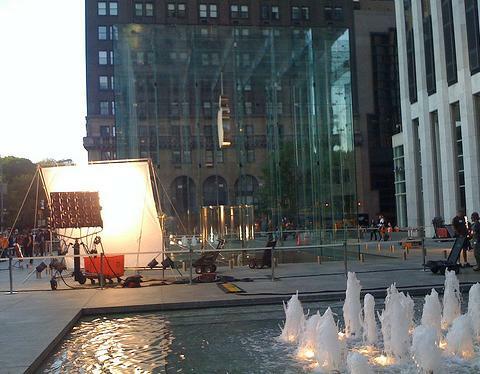 The set outside Apple Store Fifth Ave. | Image credits: The iLife. Fast forward one week, and Apple's filming around what's arguably its most lavish retail exterior —the giant 32-foot cube that sites atop its flagship shop on Fifth Avenue like a giant gemstone. Not much could be made of exactly what was going on by the folks at The iLife who were blogging the event, though there was bit of hoopla over some blurry photographs they took of black cases marked "Anonymous 5+4" making their way into the store. Those cases, people familiar with the filming say, belong to production studio Anonymous Content and contained walkie-talkies used by the production crew during filming, not 3G iPhones or Steve Jobs. David Fincher directs for Anonymous Content. Though its long been a given that the 3G iPhone will likely include traditional GPS functionality, it's getting a mention now because GigaOM is claiming to have tracked down Apple's GPS chip supplier. "The company supplying the GPS to iPhone is going to be a big winner in this space; according to my sources, the contract has been nailed down by Broadcom, a relatively new entrant into the GPS market," writes Om Malik. Om notes that Googles Marissa Meyer told him last year that the Google Maps usage from iPhone was off the charts. 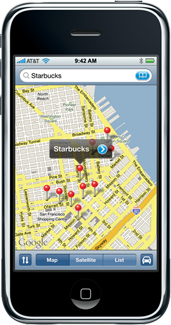 "Now imagine that Maps feature married to the built-in GPS; the combo could give location based services a big massive boost," he adds. "Pelago, an LBS social service has already received $15 million in funding for its iPhone application." And for kicks: Apple has banned two high-school students and their friends from its international retail chain, permanently. 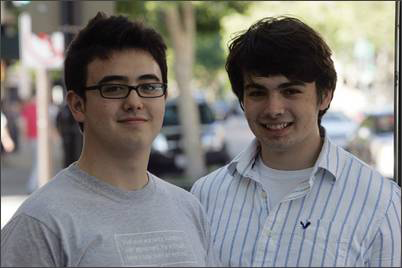 Daniel Fukuba, 17, Eric Vicenti, 16, and two of their friends were detained by police outside the company's store in downtown Palo Alto for 2.5 hours last week. Their crime? Hacking an iPhone on the premise so they could install a third-party car racing game, then leaving the store. Be on the lookout for these two scoundrels! "We're halfway down the block when the manager comes running out and tells us to 'stop right there,'" Fukuba told the Palo Alto Daily News. After being detained by the cops and lectured by the manager on the dangers of "hacking" into the phones, the teens were photographed and told their pictures were being sent to all Apple stores so employees could be "on the lookout" for them in the future.